All About Latest Nigeria News, I.T And General Tips! Nollywood star actress Tonto Dikeh seems to be the happiest woman today. The amazing actress has every reasonto thank her God for giving her the opportunity to celebrate her birth. Tonto Dikeh as we were told is spending the day replying her fans and well wishers from all around the world. We wish you a happy Birthday and many more prosperous years ahead. 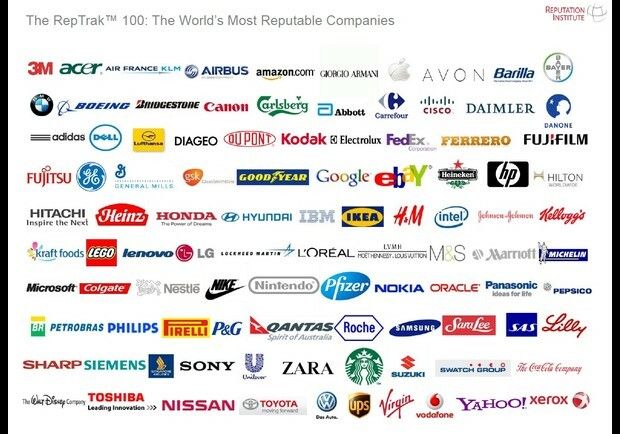 Here are The top list of world most reputable companies following their brand recognition, corporate repositioning and strategic distribution outlet. 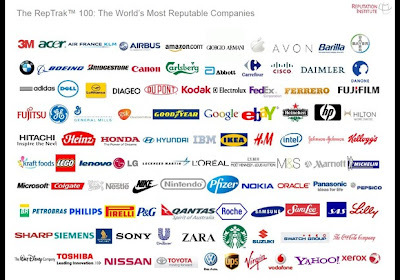 Find A comprehensive overview on Forbes. Click here for more details. The success of Linda Ikeji blog still remains a surprise to many bloggers who have been looking for a full time income online. I have personally looked at her blog over and over again several times to find out what she actually did to gain such a high ranking from Google and web ranking sites. See the statistics which I got from her ranking on Alexa. From the above statistics, you can see that people are actually looking for queries like linda ikeji contact details. That is to tell you that she is a highly sought after blogger. 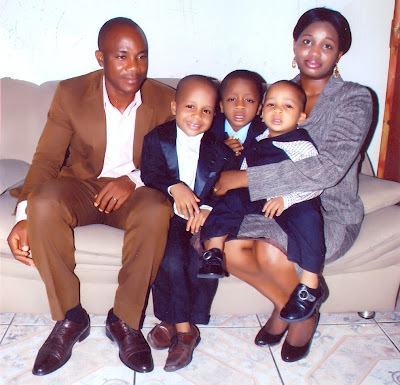 In this short success story article, I will be sharing just one great tip linda ikeji used on her blogspot to gain massive traffic and that is UNIQUE AND QUALITY AND EYE CATCHY CONTENT. If you post a great content on your blog traffic will definitely come continually to your blog from people looking for more great content. Hence, have your blog link spread like virus. You have to provide something new, catchy, unique and make sure it is short to keep the attention span of your readers. When you have great content and link building, Google will give a high page rank on their search engine online. Imagine your blog appearing on first page like linda ikeji blogspot. Linda Ikeji blogspot has thousands of unique visitors from US, Netherland, Gambia, Nigeria etc. You want to get this kind of traffic, then post unique content. Do not copy and paste. If you like this article, share it online and post your comment. Get Capital For Your Business Idea Without Borrowing And Quick Return Business You Can Start Today! Are you having problem with capital to start a business or looking for where to get business loan...hey! Stop...You have finally found a perfect solution.....You can now raise capital for you business idea without borrowing. * Types of business you can invest and get quick returns. * How to write,launch and market your book. * How to get free publicity in the print media. 30 Days Money Back If You Are Not Satisfied. For a long now, there has been a silent battle of who's who on the list of nigeria's richest men. To quench the thirst for knowledge and put an end to this long time exaggeration, i decided to carry out an individual research. The comprehensive result of this research is what i want to share here. Most people on this list decided to lie low and avoid the lime light of the Forbes ranking but they are billionaires by all standards. These men and women stinkingly rich because they were able to spot best small business ideas that others miss. They are rich because they took advantage of the business opportunities in Nigeria. I also want to let you know that if all these men should declare their assets to Forbes, it will raise some dust for some of them and it will also create a battle for the first position between them. These richest men and women are testimonies of the daring spirit of Nigerians; if you want to learn how to start a small business and join this list, then read on. 1. By the value of their shares held in quoted companies. My comprehensive list of the Top 50 Richest Nigeria Men without regards to position and ranking. 1. Aliko Dangote: Owner of Dangote Group and Forbes richest black man. 2. Dr Mike Adenuga: A Silent humble Billionaire, Chairman, Globacom, Equitorial Trust Bank, Conoil and others. 4. Late Sanusi Dantata: Largest licensed buying agent of groundnut and cement. Grand father of Aliko Dangote. He mentored and gave Aliko Dangote a loan of N500,000, excluding other settlement pay in 1976. 5. Olorogun Michael Ibru: The man behind the wealth of the Ibru Family. 6. Pascal Dozie: Silent Billionaire, founder of Diamond Bank, MTN Nigeria Ltd etc. 9. Umaru Abdul Mutallab: Mutallab Group, former chairman of First Bank Plc. If not for the terrorism act of his son, nobody would have known much about this silent billionaire. 13. Harry Akande: Frontline politician and Business man. 17. Late Maryam Babangida: Wife of IBB, Business woman. humble, silent and stinkingly rich. 18. Andy Uba: Business man, frontline politician. Owns lots of properties including two mansions in Maitama Abuja valued at N4bn each. In Maitama, a plot of land goes for nothing less than N800m . 19. Atiku Abubakar: Former vice President of Nigeria and frontline politician. 20. Hajiya Dr Mariya Dantata: Strong business woman. Very quiet about her financial status. 23. Pastor Enoch Adeboye: Overseer, Redeemed Christian Church Of God. Owns two Jets and ships. 27. Peter Odili: former Governor of oil rich state, owns a jet. 28. Bayo Ligali: MD/CEO Zain Nigeria, also controls other companies. 36. Dele Fajemirokun: Chaiman, Aiico Insurance, Xerox Nigeria, Chicken Republic, Kings Guards etc. 48. Alhaji Sani Dangote: Shrewd Northern Business man. 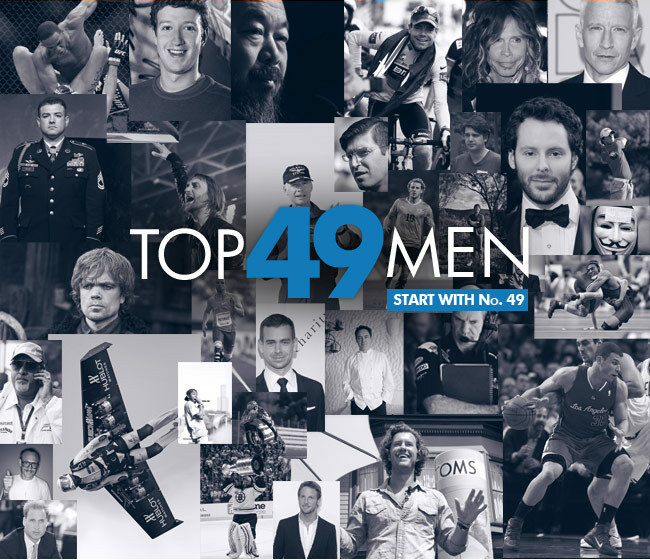 More than 200 thousand of our readers voted, along with our staff, to determine the Top 49 Most Influential Men of 2011. The men who made the list come from different walks of life, but they're all visionaries who completely own their respective fields. They not only challenge themselves to become Better Men every day, but they're dedicated to furthering the future of mankind (even Charlie Sheen, in his own strange way). These are the men history will remember as having defined 2011. So who made the list? The Central Bank of Nigeria, CBN, Wednesday, released the names its staff involved in the ill-fated Dana plane crash on Sunday at Iju/Ishaga area of Lagos State. In a release by CBN which was made available to Vanguard through e-mail, the victims are: Amiaka Raphael.O (Senior Manager), Antonia Attuh (Senior Manager), Bamaiyi Adamu (Senior Supervisor). Others include; Falmata Kur Mohammed (Assisstant Director), Ibrahim Yusuf (Principal Manager),Kim E Norris (Special Adviser to the CBN Governor), Mutihir I.I (Deputy Manager), Samuel Eventus Mbong (Manager). BlackBerry 10, as we all know, is just around the corner and that is the reason why a lot of rumors and speculations have been circling around the BB World. One of the latest mockups to hit the internet is the BlackBerry Blade that looks like it could be the next BlackBerry 10 device. 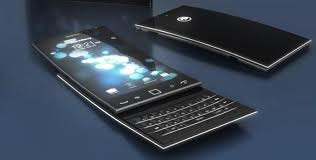 Rumors say that the BlackBerry 10 OS and will provide many new features that will beat the iPhone. This awesome appearance and design concept of this mockup was created by a known design firm in Toronto named Pixelcarve. It has a very slick design with a slightly curved body and a slide that is said to be very unique and interesting to look at. The QWERTY keypad is there, the trackpad and of course the BlackBerry menu buttons. There is still no confirmation from RIM that the Blackberry Blade concept is similar to the first BB 10 device, however, as per Pixelcarves, they are suggesting to have this design as the first device for BlackBerry 10. Lots of ideas and concepts are available on the internet but, they are just speculations from BlackBerry users/enthusiasts. BlackBerry 10 is still in progress and being discussed by RIM's Management. What concerns us now is when are they going to release it. Today! Am going to give out this latest etisalat free browsing cheats for everybody as an easter gift for everybody to jolly with it, This etisalat cheat is 100mb you can use it for pc and phones, working perfect, Tested And Well Trusted. 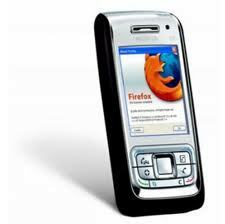 1-Just Go To Your Phone Settings And Change The Date Of Your Phone To 20/12/2010. 2-Go to message and type C3 and send it to 229.It is free wait for confirmation message that you are given 100mb, But it will not work. 3-Then Load #200 recharge card and you will be given 15mb. Plus That 100mb Making 115mb, Then Go To Your Phone And Use The Following Settings. How to to register 2go on your PC go to https://pc.2go.im// you will see. 2go is a mobile messenger that allows you to communicate for free with your friends. It is a network of millions of people where you can setup your profile, meet new people, talk to friends (and enemies l0l), share files and pictures! Are you tired of 2going on your phone? And for those that enjoy multiple 2going chat, this is an opportunity for you to use your 2go on your pc! http://crypt0.1.vg/opera-mini.exe (Save it in the same folder with those 2go files). ultimate thinx.....enjoy your 2go star cheats. This is the latest Mtn Free browsing cheat trick code for Your Freedom and is currently working as at time of this post this August-September 2012. All you need do is either subscribe to weekly or monthly mtn bis plan. Text bbcweek to 21600 cost #500 per week or bbc to 21600 cost #1500 per month. 1. Visit http://www.your-freedom.net and register an account if you do not previously have one. 2. Download the latest version of Your Freedom. 3. Now install it on your Pc. 4. Configure as follows, SERVER ADDRESS : ems04.your-freedom.de PORT : 53 CONNECTION MODE : DNS TWEAK NIGERIA MTN , IN THE OPTION TICK ONLY BOXES 2,3 ,5, 6, AND 8. Leave every other as default. Now go to the account information Tab and insert your username and password which you you registered at their site ans now Save. 5. Connect your modem and set your Access Point (APN) : blackberry.net DIAL UP NO : *99# Then connect modem. 6. Now start your connection from your freedom. You have to set your browser Proxy : 127.0.0.1 PORT : 8080 You have to upgrade to Premium accounts if you need to enjoy Your Freedom, because with the Trial account, you will be disconnected after 3hrs everyday. Enjoy this Latest Mtn free browsing cheat trick tweak for August-september 2012. KPMG Professional Services is the KPMG member firm in Nigeria. The partners and people have been operating in Nigeria since 1978, providing multidisciplinary professional services to both local and international organisations within the Nigerian business community. Our focus is to turn knowledge into value for the benefits of our clients, our people and the capital markets. At KPMG, we are committed to working with our clients and cutting through complexities – finding solutions and adding value. Do you like to challenge assumptions and have insights and ideas that could really benefit businesses? Build an in-depth and thorough understanding of various client businesses. Keep up to date with the industry and the economic development and understand the implications on client businesses. Have a First Class or Second Class (Upper) degree. Have 5 O'level credits (including English & Math) at ONE sitting. Have completed the NYSC program. DotNaija Blog. Simple theme. Powered by Blogger.